Meetings are on the second and fourth Thursdays of each month in Leadon Bank Restaurant, from 2.00pm to 4.00pm. 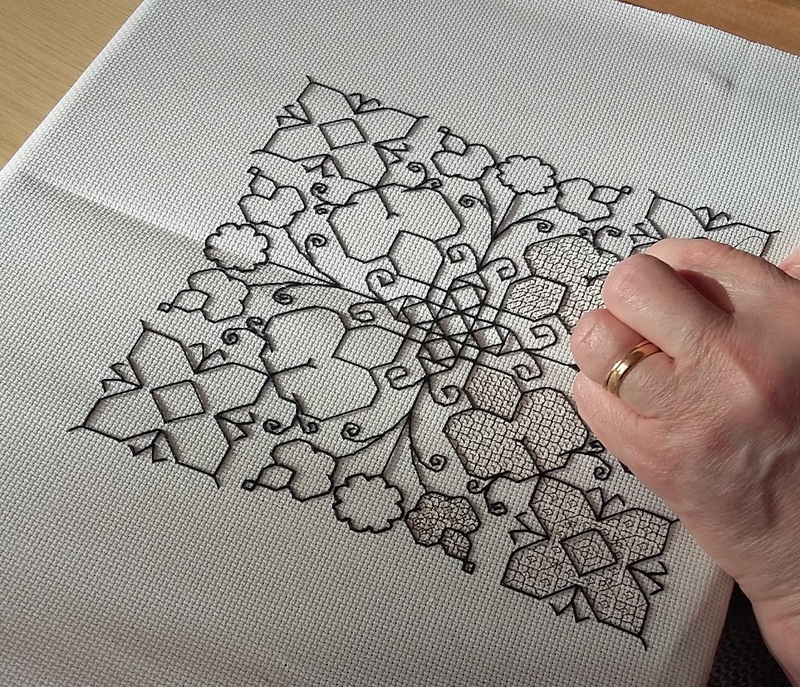 At most meetings, our members bring their own projects, sharing advice and suggestions, and as on ongoing feature from time to time members lead workshops in needlework techniques, most recently on Patchwork and on Crochet. Always up for a challenge, members enjoy mastering new techniques and creating a splendid array of clothing, decorative and household items. At the moment we are working together on a project, making Easter ornaments to hang on a leafy branch or to fill a small basket. This photo shows our work-in-progress so far. Since we meet at Leadon Bank we have arranged to donate the finished display to add to their own decorations for Easter. We have planned a trip to Malvern Crafting Live in March, where we hope to pick up bargains and ideas, and in May there is an Embroiderers' Guild Exhibition at Croome Park which I am sure will be a popular outing. In order to spread our work, we use all of the space available and so have to consider the Group at capacity at the moment.